Heading into he final eight days of the season, all five teams in he southwest division hold playoff spots, four those teams have clinched a berth, but none of the teams know where they’ll finish. And that’s just in the division, let alone the playoff standings. The only surprise of the night came in New Orleans, as the Pelicans made the plays down the stretch and the Warriors didn’t. Steph Curry missed an open runner in the lane with under ten seconds left, then rattled out a 3-point attempt just before the buzzer that would have sent the game to overtime. Although, the referees botched the call on that play, as I imagine will be reflected in the league’s Last Two Minute report released on Wednesday. Curry was defended by Dante Cunningham as he jumped up to attempt the long shot. There was minimal contact and no whistle (which in my opinion was correctly officiated), but after jumping and realizing there was no chance to make the shot, Curry merely let go of the ball. 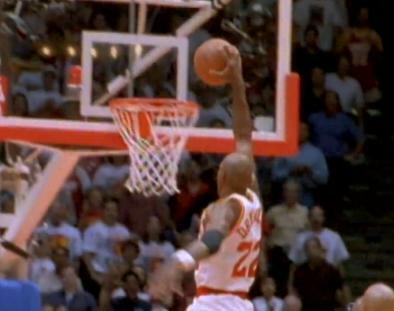 Then landed on his feet, paused, picked up the bouncing ball and fired up the shot. That should have been whistled for a travel, but wasn’t. See below. Moments before that with the score tied at 100, Pelicans guard Tyreke Evans tripped himself up at midcourt, as he was losing the ball and headed down to the floor, Andre Iguodala reached in and caught him lightly on the knee. Iguodala was whistled for a foul and Evans sank one of two free throws. Steph Curry still had another good game with 25 points on 9-18 shooting, including 5-8 on 3-pointers to go with nine assists. But fellow splash brother Klay Thompson was off, way off, scoring just seven points on 2-10 shooting and had four turnovers. Anthony Davis turned in a typical strong game with 29 points, ten rebounds, four blocks and two steals. He did all that, without a single turnover in over 40 minutes of play. That win pushed the Pelicans ahead of the Thunder for the eighth spot in the west, since the Thunder were manhandled by the Spurs for the second time during the Spurs eight-game winning streak. Oklahoma City scored just 10 points in the first quarter, made just 4-of-21 shots and had six turnovers. The Thunder have lost five of six, were never in the game with the Spurs and do not hold the tiebreaker with the Pelicans. While the Thunder have a seemingly easier schedule remaining, they are playing terribly, while the Pelicans just knocked off the best team in the NBA. Russell Westbrook scored only 17 points and did not play in the fourth quarter with the game out of hand. For the second time in three nights, the Clippers handled the Lakers, although this time the Lakers put up a fight. J.J. Redick and Blake Griffin each had 27 points and the Clippers got Jamal Crawford back after he missed the last 17 games with a calf injury. He scored four points in roughly 19 minutes. The Clippers could still finish as high as the number two seed. New Orleans will try to ride that wave of emotions to Memphis as they look to claim the season series against the Grizzlies. Memphis beat New Orleans by 18 at home in the first week of the season, but the Pelicans won both games in New Orleans. Memphis and Houston, along with San Antonio are still in the race for the division crown, which could come down to division record. Memphis is 8-7 with this being their final division game. Houston is 7-6 with two games remaining with the Spurs and one with the Pelicans. San Antonio is 6-7 with the two games against Houston and one with New Orleans remaining. The Rockets and Spurs have not played since just after Christmas with the Spurs winning 110-106. Houston got a strong game from Dwight Howard (24 points and 17 rebounds), but had a season-worst 25 turnovers. Howard is averaging 28 points and 16.5 rebounds, while shooting 74 percent in two games against San Antonio. He remains on a minutes limit, however, and is expected to play around 25 minutes. The teams will meet again in Houston on Friday night. The importance of these games is fairly obvious. A sweep by either team could put that team in position to win the division. 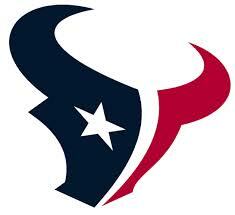 Houston already controls their own destiny. If the Spurs win out they could win the division, although they would need the Grizzlies to lose to the Pelicans tonight, to allow for the Spurs to potentially win that division tiebreaker, because if the teams remaining tied and have the same division record, the Grizzlies would claim the division title based on better conference record. I know – not confusing at all. The Mavericks had the night off on Tuesday, but finally clinched a playoff berth with the loss by the Thunder. They have nearly clinched the seventh seed, their magic number to do that is one. They are hoping to get Chandler Parson (knee) and Rajon Rondo (knee) back healthy before the playoffs as well. Parsons is listed as doubtful, while Rondo is listed as probable to play against the Suns. The Suns have not been eliminated from the playoffs yet, but their final five games of the season are by far the hardest in the entire league. The five-game closing stretch began last night with a 96-69 drubbing in Atlanta. Their next three games, all on the road, are against Dallas, New Orleans and San Antonio. They then finish at home against the Clippers. If they miraculously sweep their final four games, they’ll have 43 wins. That’s just one more win than both the Thunder and Pelicans already have. I’m sure you saw this from over the weekend when Shaun Livingston got caught reaching for the ball(s). 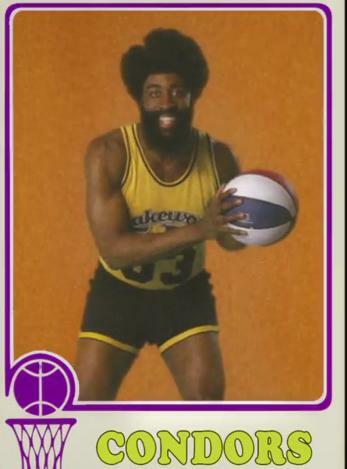 he NBA gave Livingston a one-game suspension for the shot to the jewels. Dirk Nowitzki said after the game, that everyone was just moving on from it and he didn’t consider it a big deal. Although from his comments below, he jokes that Livingston did, in fact, consider it a big deal. That was on Monday at a Mavericks team event at Six Flags. Now that is amusement at the old amusement park. The NBA announced today it will provide play-by-play reports regarding all calls and just as importantly, all material non-calls that occur in the last two minutes of close games and during overtime periods. These reports will be available at NBA.com/official beginning on March 2 and continuing throughout the 2015 playoffs. The league cites their new transparency initiative relating to its officiating program, aiming for it to create a more specific protocol for commenting on the most scrutinized calls in NBA games. Previous actions as part of league’s effort toward more transparency in its officiating program include this season’s launch of the NBA Replay Center, real-time postings on NBA.com and @NBAOfficial of the replays used by officials to make calls during replay reviews, and bi-weekly rule “points of emphasis” memos that are sent to teams, referees and the media. The league will release assessments of officiated events in the last two minutes of games decided in regulation that were within five points at the two-minute mark. Each play will be reviewed by a senior referee manager or basketball operations manager who will provide the assessments. Every play on the report will include a video link to that specific play. The reports will be posted on NBA.com/official by 4 p.m. CT the day after each game. The link below shows a sample of what the “Last Two Minute report would look like. AS mentioned above, each play includes a video link, which is definitely worth checking out since it includes up to nine different options for viewing each play, which is pretty nice. 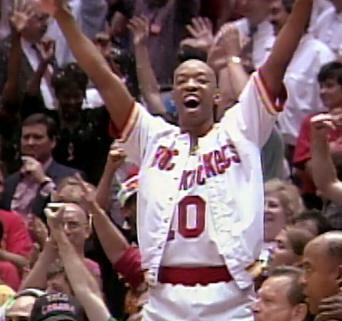 Houston Rockets legend Hakeem Olajuwon was conducting an television interview (seen below) and was asked if LeBron James is one of the greatest players of all time. He immediately responded with “Yes.” Then, unprompted, expanded on his answer and brought up comparisons to Michael Jordan, which he said were unfair. Hear his answer in the video link below. 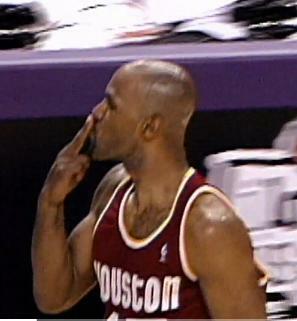 And Rockets’ fans, stick with the video after that answer as he recounts his greatest basketball memory. 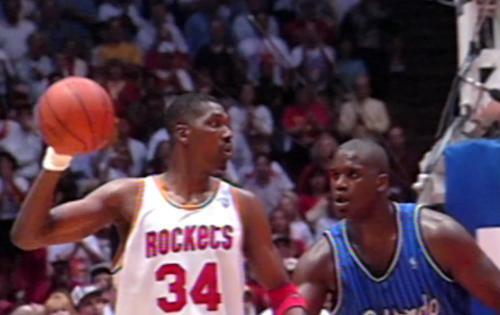 Hakeem Olajuwon Says Michael Jordan ‘Far Superior’ to LeBron James (VIDEO). Is this just a guy backing a guy who played in his era, versus the guy playing now? 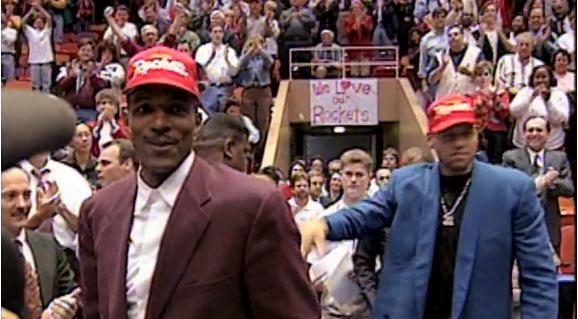 He does mention how tough the league was when Jordan and Olajuwon played. He has worked with LeBron James on the court, during previous offseasons, so he definitely knows his game pretty well. I imagine this gets more run than it probably deserves – especially since Jordan is better than James – see what I did there! Hit me up in the comments section or on twitter with your thoughts. 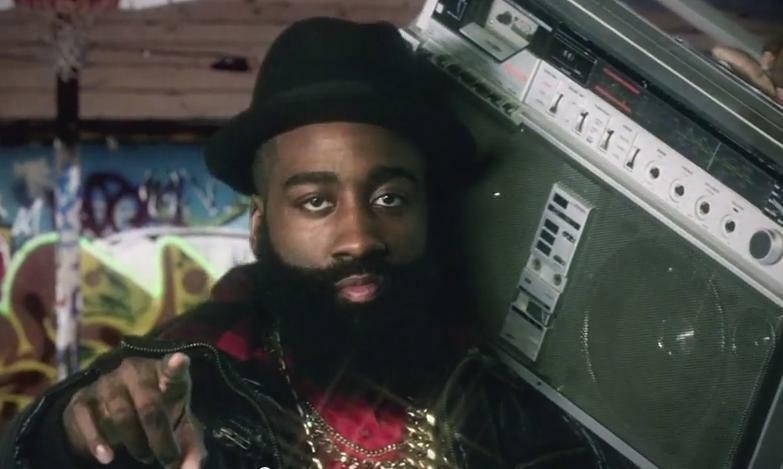 Current Houston Rocket James Harden and former Rockets Scottie Pippen and Charles Barkley have been featured previously in some pretty funny Foot Locker ads. Now it’s Tracy McGrady’s turn. He gets the business from Blazers guard (and Rockets current nemesis) Damian Lillard. Good stuff.